Just as our Pujo season ends, the Holiday season here in the U.S. begins. 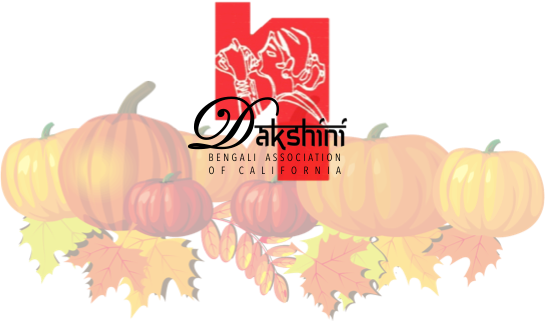 The Dakshini Gala Holiday Party will be held on Saturday December 3, 2016 @ Bombay Tandoori (4111 Pacific Coast Hwy. Torrance, CA 90505) from 7 PM to 11:30 PM. For this event, we can only accommodate up to the restaurant's certain capacity (including kids) thus RSVP IS MANDATORY FOR SEAT RESERVATION! Priority will be given to Annual Members and Gold/Platinum/Platinum Plus Sponsors as they have already paid for the event. Non-members will be welcome depending on availability of seats and at $15/adult and $10/kid.